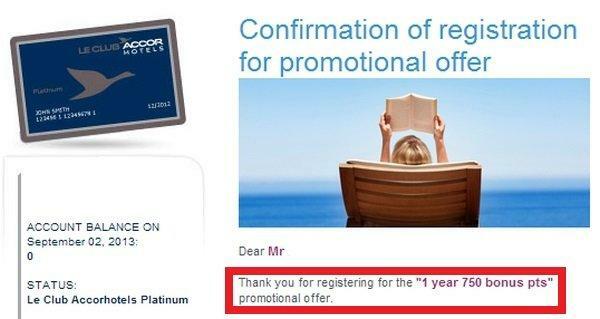 Le Club Accorhotels has a new promotion for 750 bonus points for a stay within 3 months of registering for this the offer. There are now three “public” promotions that you should be able to take advantage of. There is the offer for quintuple points (access here) and another one for double points (access here). I have now successfully registered for all these three and will have a stay in Bali at one of the Accor properties (perhaps the new Sofitel?) next week to check out what posts.